Shufersal Deal/Deal Extra/Online– use your Shufersal credit card to purchase 150 shekels worth of wine and you can get a 2.5 kg box of regular matzah for free. Limit 2 matzot per credit card. Does not include boutique wines (over 100 shekels), sweet wines, Tirosh and grape juice. Double discounts apply. Expires 3 April 2015. YOU– YOU members that spend 500 shekels at one time will receive a 1 kg package of matzah for free. Double discounts do not apply. They aren’t the best deals, but they do bring back memories! Did you know that you can buy KLP (Badatz), kiniyot- free Ben & Jerry’s ice cream on Pesach? In addition, their factory store will be open 1-12 April 2015 with coloring and crafts for kids. If you aren’t able to get over there during Pesach, don’t miss Free Cone Day on April 14! Go to the Ben & Jerry’s website for more information. 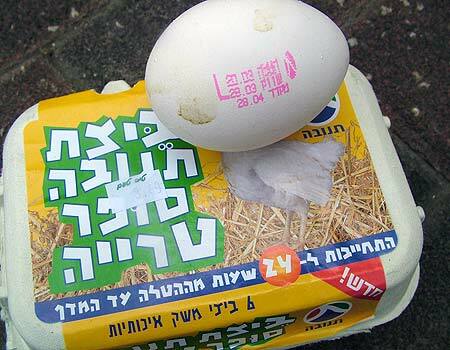 The dye that is used to stamp eggs on Pesach is KLP. Eggs have to be stamped on Pesach in exactly the same manner as throughout the year. Eggs without a stamp on them are ILLEGALLY PRODUCED OR IMPORTED EGGS and should not be purchased. Report all unstamped eggs to the Ministry of Health at *5400. “For many years people have been strict in not purchasing eggs that have been stamped because of the suspicion that there may be chametz in the dye used to stamp the eggs. Unscrupulous people take advantage of this stricture and sell unstamped eggs that have not been supervised by the authorities and may be a risk to public health in addition to being against the law. 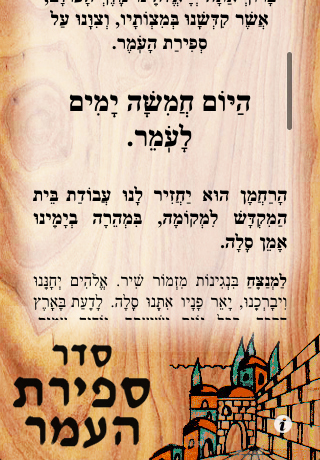 Because of this, Tnuva with cooperation of the Badatz Eidah Charedit has spent considerable effort and money to procure a dye that has no suspicion of chametz in it. All eggs produced by Tnuva at this time are using this dye and are stamped כ. פסח. This year mashgichim from Badatz Eidah Charedit have supervised this process and these eggs are sold with a special permit that states that the dye used is without chametz. For more general information about purchasing eggs in Israel such as storage temperature, washing of eggs and more, check out my previous post Aliyah tip #1- understanding eggs. Here are pictures of the latest deals in Shufersal. 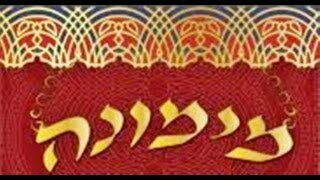 The Pesach products are coming out in full force now so watch the prices go up. For example, last week Shufersal brand KLP shoko powder was 8.90 shekels, this week it is 9.90 shekels. As requested by a reader, I have tried to photograph the actual hashgacha and I am trying to emphasize kitniyot-free products. Sanfrost vegetables are almost all KLP- they have different statuses regarding shmitah so check that as well. These new diet puddings didn’t make it until Pesach. Kitniyot. Kitniyot and Gebrahkts free. Kitniyot and Gebrahkts free. All of the standard Ashkenazi cookies- but with kitniyot. Let the buyer beware. (The TamTams are not KLP) This shouldn’t have kitniyot but it doesn’t say yes or no. Kitniyot. Kitniyot. Kitniyot. No Kitniyot! No Kitniyot! No Kitniyot! Again, shouldn’t have kitniyot but it doesn’t say either way. No Kitniyot! Unfortunately, only the giant bag was KLP. Maybe the smaller ones will be in stock later on. No KLP cat food at that time. No kitniyot or gebrahkts. No kitniyot. Kitniyot. Sorry, can’t tell if it has kitniyot or not. No kitniyot or gebrahkts! Pesach mission #1- Clean out your pantry now! All of these items can be crossed off your master Pesach shopping list. You do have a shopping list, right? This is THE most essential item to save money. If you do not have one, take out all of your standard Pesach recipes (don’t forget seder items) and create a master shopping list, including amounts needed. You will adjust the quantities during your Pesach post-mortem. Keep this list accessible all year round so you can purchase items during the year when there are sales. You can find a sample list and more on my organizational tools page. I didn’t have much time to go through all of the sale items, but here is a sampling of what I did find. I find that once the KLP aisle is created, the prices on these items start to go up. Get them now while the prices are low. These are gone before you know it in the store so I bought four boxes. Here are the latest KLP sales at Rami Levy. I recommend taking pictures of the sale signs- one sale miraculously expired from the time I took the product off the shelf and the time I checked out. In addition, Rami Levy computers say that the tuna sale is limited to two items but the sign does not. If you have a copy of the sign, you will get a quicker refund.